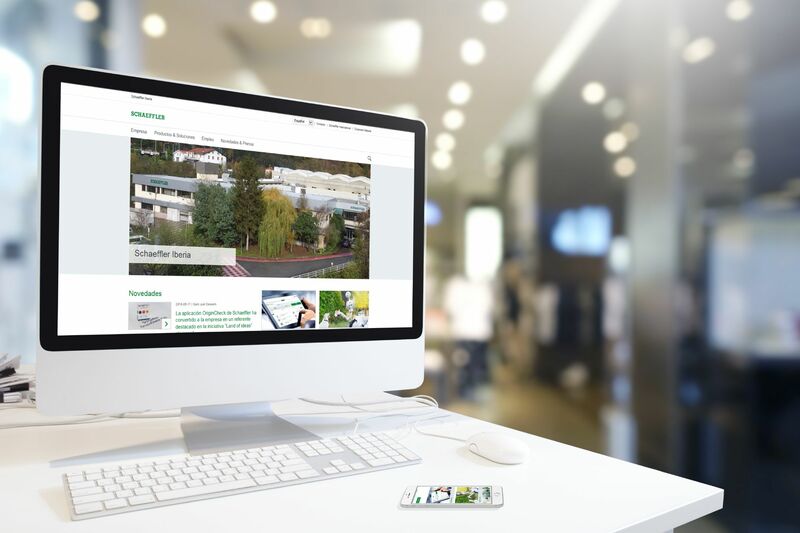 Schaeffler Iberia has re-launched its website with a new design and upgraded functions. In line with the motto "Mobile First", the corporate website has been completely redesigned and optimised for use by mobile devices, smart phones, tablets and portable computers. This responsive design adapts the contents of the website to the specific resolutions of each screen, enabling correct viewing regardless of the device and without any detriment to functionality or quality. The finishing touches of this upgrade are a new, optimised structure and a modern design. This new website is Schaeffler Iberia's response to current user needs and increasing internet use by mobile devices. The most attractive features of the new design are the browser-friendly drop down menus at the top. Product information has also been restructured and can now be accessed by product category, reference or product name, as well as from our product list, adding to the various search options. In addition, product information now includes videos and animations that make it easy and attractive for users to become familiar with our products. Information about the characteristics of each product can now be accessed via a link to the corresponding product page in our system of consultations and selection of media products. Now users can also use the information icon on the products page to access specific publications quickly and directly without having to enter our digital library. A new section in the product page provides information about similar products and helps users find the product they need. Moreover, all the sections, such as the digital library or the search for authorised distributors, have been optimised. In the Digital Library, a single product or service search option is available for users to access associated publications, videos or images. The associated videos and images also adapt to the viewing features of a wide range of devices and can be directly downloaded in many cases. The Authorised Distributor search has a new function that allows users to find the nearest authorised distributor if the GPS is activated on the device. "This new website contains the optimisations required by current market trends, as well as optimised functions resulting from user comments on possible improvements gathered through the years from our old website. We now have a modern platform and we are convinced that it will improve user experience of our website", explains Susana Viloria, Director of Communications & Marketing at Schaeffler Iberia. "Navigation on our new website is easy and user-friendly and provides clear and attractive content from any device", she adds. "By re-launching our website we have taken one more step in our digital communication strategy."